The Salvation Army in St. Louis, Missouri, is playing a significant role in rebuilding community relations in Ferguson, the scene of rioting and civil unrest in 2014 following the death of 18-year-old Michael Brown, who was shot by a police officer. 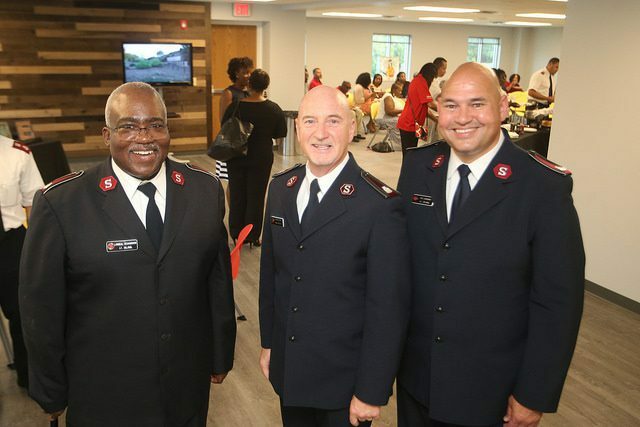 In partnership with the Urban League of Metropolitan St. Louis, the Army opened a Community Empowerment Center on the site of a QuikTrip store that was burned down during the civil unrest. The center is symbolic of the hope, healing and progress it wants to bring to the community. 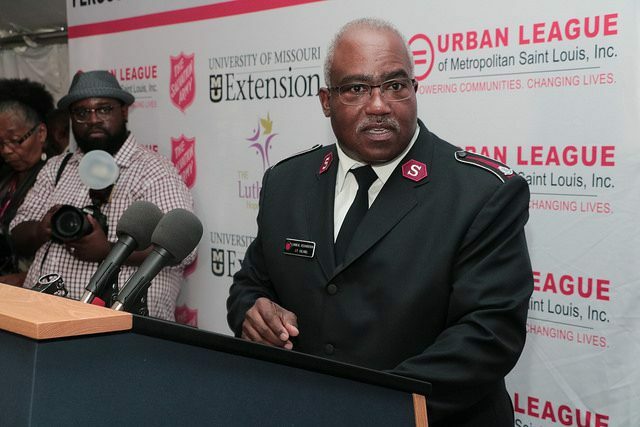 Joining The Salvation Army and the Urban League in the center to affect change are The Lutheran Hope Center and the University of Missouri-Extension. 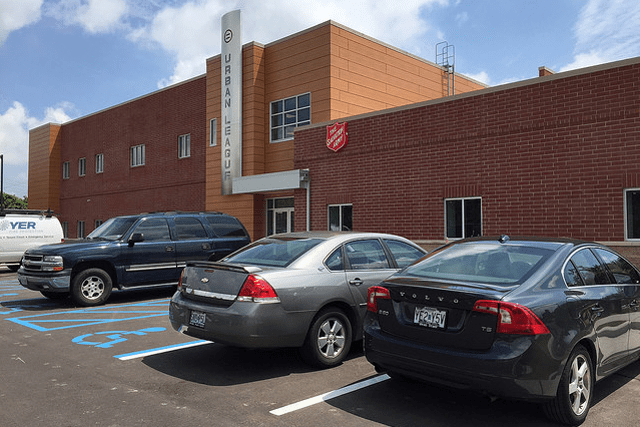 The Ferguson Community Empowerment Center represents an unprecedented partnership between the Urban League of Metropolitan St. Louis and The Salvation Army. The initiative grew out of a shared vision by former Midland Divisional Commander Lt. Colonel Lonneal Richardson and Michael McMillan, president and CEO of the Urban League of Metropolitan St. Louis. It is anticipated that the center will serve thousands of people, not only in Ferguson but in north St. Louis County. The Salvation Army contributed $1.4 million toward construction of the 13,000-square-foot, two-story building. Occupying the second floor, it administers programs and services for families and young people—all determined by a needs assessment study. In addition to the provision of immediate assistance, Salvation Army caseworkers offer Pathway of Hope, an initiative to break the cycle of poverty for families by helping them overcome barriers such as unemployment or unstable housing. For children, The Salvation Army offers Spark Academy, an out-of-school program for third- and fourth-graders that provides a safe space and opportunity for them to discover their gifts and talents. Seeking to help young people to develop and thrive as the person God intended them to be, the academy focuses on four main areas: depth (developing spiritual formation and strong independent character); responsibility (opportunities to serve others); community (gaining a sense of belonging); and spark (creating opportunities to discover their giftedness).